Born in east-germany in 1970. Came to austria in 1980 and moved to vienna in 1988. Studied electronics and became a hairdresser shorty after. Starts to collect vintage musical junk and sythesizers. First release together with erdem tunakan and constantin peyfuss as b.Low on Abuse Industries, vienna's first independent recordlabel. When the first wave of new electronic music called techno hits germany and austria in 91/92, he spends a year of djing and recording in new york together with helmut wolfgruber as duo 3M. Came to austria in 1980 and moved to vienna in 1988. Studied electronics and became a hairdresser shorty after. Starts to collect vintage musical junk and sythesizers. First release together with erdem tunakan and constantin peyfuss as b.Low on Abuse Industries, vienna's first independent recordlabel. When the first wave of new electronic music called techno hits germany and austria in 91/92, he spends a year of djing and recording in new york together with helmut wolfgruber as duo 3M. Residencies at limelight, shelter, safe the robots, and work for the labels Vortex, tommy boy and others. 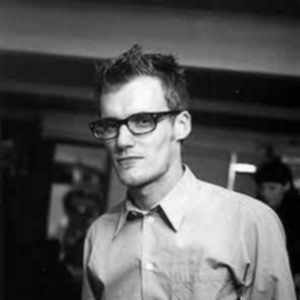 In 1993 he returned to vienna and became Co-founder of Cheap Records together with erdem tunakan. Oebles, love the machines, sluts'n'strings&909, iO, restaurant tracks, lazer musik, showroom recordings, louie austen, and others. Touring with various live projects and international dj-gigs besides work in the studio took up most of the time. That was also the beginning of a serious attraction to vintage recording and production skills. After more that 10 years with cheap records the focus was drawn more and more to recording and production of the music and he left the label as an active member in 2003. He runs the feedback studio in vienna, where he records and produces his own projects as well as other bands and runs a mastering suite. Easy to assemble, hard to take apart. Sound-installations together with painter and sculptor tobias pils . CD with classic and unreleased techno from the dogmatic series.